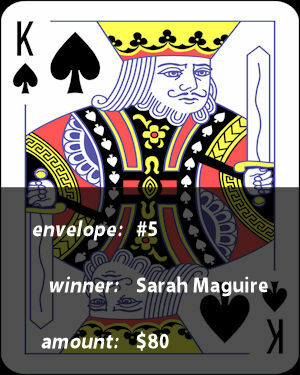 Our Week 2 winner is Sarah Maguire, collecting $80! Sarah picked the King of Spades, so she did not win the $232.50 jackpot. The raffle continues! How big will the jackpot grow? Get in touch to get your $5 ticket!